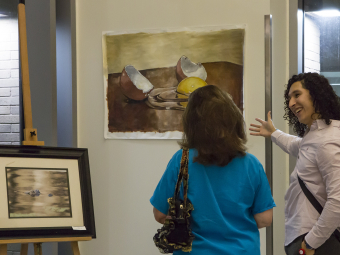 Through cross-disciplinary teaching, creative activity, and respect for individual expression, the School of Art prepares students to be socially conscious artists, visually and analytically astute. The School of Art Faculty welcomes students to explore a wide range of media for the purpose of developing effective communication skills through the conceptual and analytical comprehension of images. We believe expression of the visual arts serves humanity. This creative endeavor promotes the development of critical observation, a strong foundation for communication skills and encourages the investigation of the natural world and the multicultural, social and political elements of a global society, and also encourages students to explore both traditional and contemporary fields. 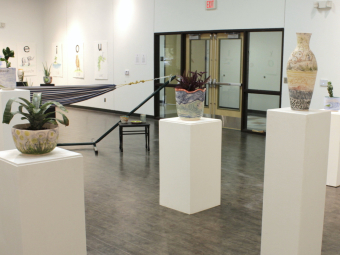 The UTRGV School of Art has a 73,000 square foot facility (Edinburg) with the highest quality studios and labs in graphic design, sculpture, ceramics, painting, drawing, printmaking, digital photography and film photography with a wet lab. The School of Art also has a facility (Brownsville) with 20, 000 square feet of indoor and outdoor space with very unique 20 foot high ceilings in all of their studios for optimum student art production in painting, ceramics, sculpture photography (digital and film), printmaking, drawing, an iMac lab for computer imaging and graphics, and a 3000 square foot out door open area for experimental art.